The PS4 system software update version 1.50 will launch simultaneously with the console in North America on November 15, the company wrote in a blog post. 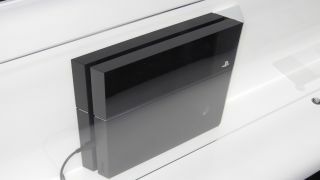 Among the many features it will add to the console are DVD and Blu-ray movie playback, which won't be available until the PS4 connects to the internet. But the update will add a ton of other features as well. Among the features being added to the day one update are remote play, which lets users stream PS4 games to PS Vita systems over Wi-Fi (Sony promises that "most PS4 titles" are compatible with the feature) and second screen functions for PS4 games that link with PS Vita or the PlayStation App on mobile devices. The update will also grant users the ability to record and upload screenshots and gameplay footage. But that's not all: the PS4 will depend on the day one update to broadcast and spectate live gameplay, play games as they're being downloaded, have multiple users logged in, use party-style voice chat, recognize faces and voice commands with the new PlayStation camera, and use the Sony Music Unlimited background music player. Finally, players won't be able to play online multiplayer until the update is installed. Many players will no doubt argue that these features should be part of the PlayStation 4's feature set right out of the box, especially since day one updates are notoriously bad ideas. It remains to be seen whether Sony will be able to avoid the launch day issues that plagued the Wii U, including hours of waiting as thousands of players attempted to download a very large update. The company conceivably could allow players to download the update to USB drives ahead of time and update their consoles manually on November 15. There's no indication yet, but we've asked Sony if that will be the case and will provide an update if we hear back. Meanwhile, Sony also revealed today that some PS4 features, like the "suspend/resume mode" that is essentially a sleep mode for the system from which players can return immediately to their games, won't be available at launch. The company promised more info "in the near future." Check out our updated verdict on PS4!